“As I noted in my statement last evening, we believe that in the absence of a global standard and a level playing field, the imposition of public registers of beneficial ownership on the Virgin Islands could have negative economic consequences. It is unfortunate that this development has taken place as we continue to recover from last years’ disasters. “Certainly, these are difficult times. But, I firmly believe that working together and with strong and collective commitment, our financial services industry will develop and adapt successfully as it has done in the past. Over the past few years, we have prepared the financial services sector for changes such as this. In the coming weeks, we will be taking action on those plans. “Now is also an opportune time for us to embrace new businesses to support not only our recovery and development, but a futuristic economy with modern and innovative ideas and technology. “Our current assessment is that any potential changes are at least two years away but we will not now rest on our laurels. My Government will remain focused on maintaining the economic viability of these islands and on rebuilding our community. 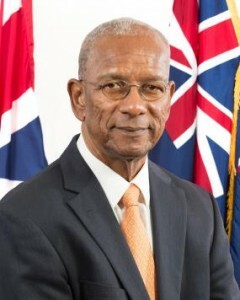 In another statement also available on the official BVI Government website, Premier Smith said, “I reject the idea that our democratically elected Government should be superseded by the United Kingdom Parliament, especially in the area of financial services which has been formally entrusted to the BVI people. “It is repugnant to the constitutional arrangements that United Kingdom made when our new Constitution was approved in 2007 and would certainly undermine the constitutional relationship and destroy any trust between the BVI and the United Kingdom. “My Government has always said that should public registers become the global standard, then BVI will comply. In the absence of a global standard, such an imposition by the United Kingdom is not only unfair and discriminatory but we believe that it would result in a material loss of jobs, output and government revenue in the Territory and impede Government’s ability to viably support its residents. Premier Smith’s comments follow after the UK Government said it will support an amendment to order Overseas Territories to make their ownership registers publicly accessible. This matter has been discussed for years, and the position taken by BVI, and the Cayman, appears to be similar to that of Bermuda, with the Bermuda Government generally pointing that the island has maintained a register of beneficial owners for years, provides the information to official bodies at request and is willing to make it public once it becomes world standard. The UK’s Bill seeks to use the power of an Order in Council to make the Overseas Territories introduce public ownership registers that adhere to guidelines set by the UK. The Bill seeks to do this to any Overseas Territories who have not made their registers public by 2020. A beneficial ownership register is a database of information on business owners, and while most nations worldwide do not make theirs public, the UK does, with their register going public in 2016, reportedly the first nation in the world to do so.